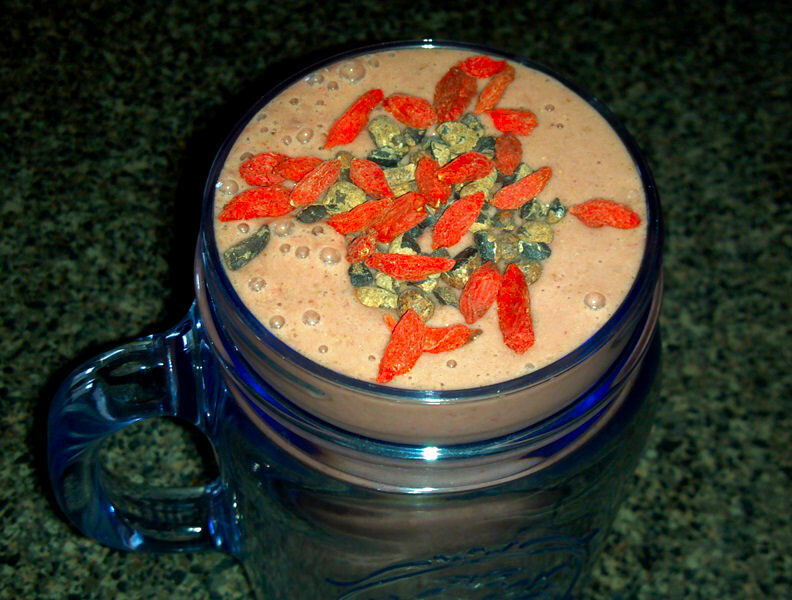 Another protein smoothie, make with Merrikh Medical Chocolate Vegan Protein Powder! This is a great post or pre-workout smoothie, or if you are wanting a tasty shake with a little extra protein-kick to it! – 2 to 3 cups frozen strawberries (if you are freezing them yourself, remember to ripen them all the way. The more ripe the sweeter and the better for you! First, we will make our own hemp milk. This is a simple, easy and amazingly delicious recipe. You can also make your own nut milk as well. To see my almond nut milk recipe, click here. 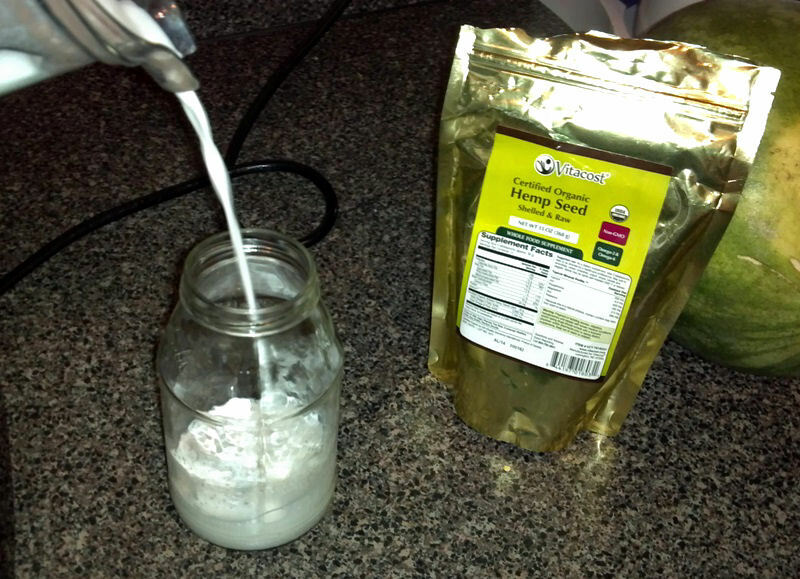 To make your fresh hemp milk, add 3 cups water to 1/3 cup organic hemp seeds and four pitted dates for sweetness. 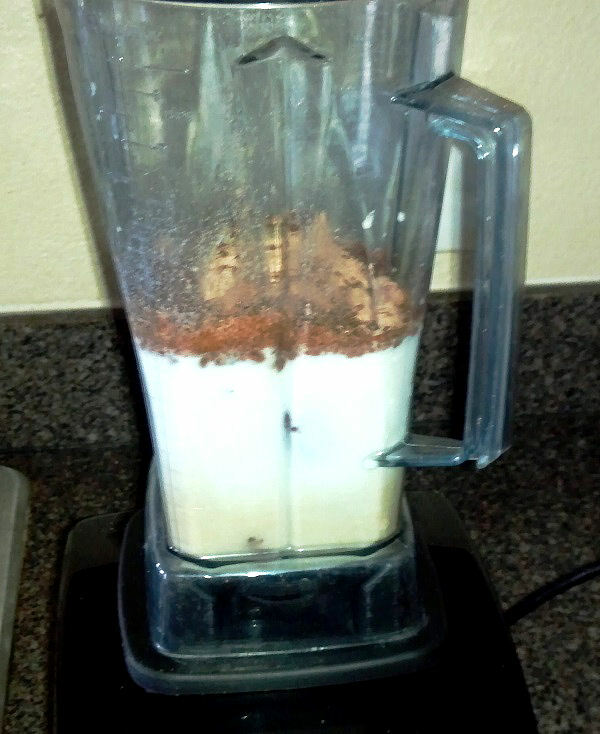 Blend until smooth and creamy, about 1 minute to 90 seconds. Pour into a jar and store in refrigerator! 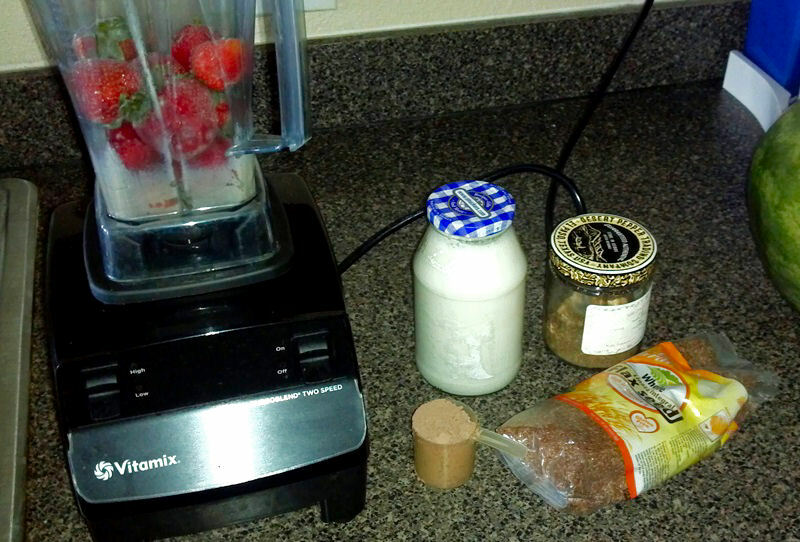 Now we will add our milk to the blender, along with the frozen strawberries, chocolate protein powder, raw cacao, chia and flax seeds. Blend until smooth and creamy, then pour out into a nice, large lovely glass. 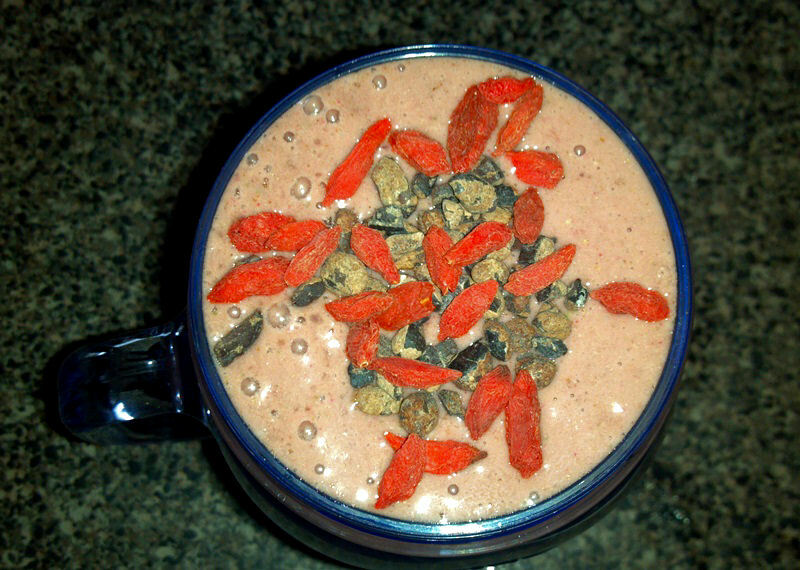 Top with goji berries and raw cacao nibs (or anything you want, really…that’s just what I used) and drink up!